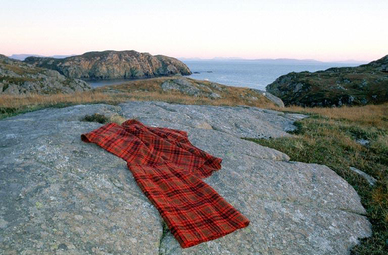 Harris Tweed is world famous for its quality and durability all over the world. It is only woven on the islands of Harris & Lewis in the Western Isles and is undoubtedly the most famous of all Scottish tweeds. 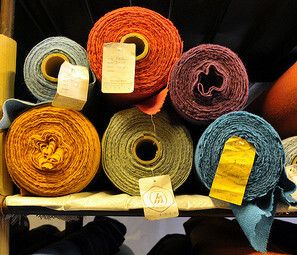 Harris Tweed has had a revival in recent years thanks to the interest from internationally known designers. 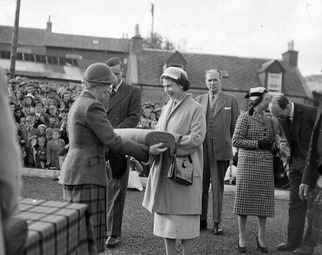 To qualify as authentic Harris Tweed, the cloth must bear the orb trademark of the Harris Tweed Association and be made from virgin Scottish wool, woven on handlooms in the weavers' own homes. The wool for spinning and weaving comes from sheep, which are farmed locally. 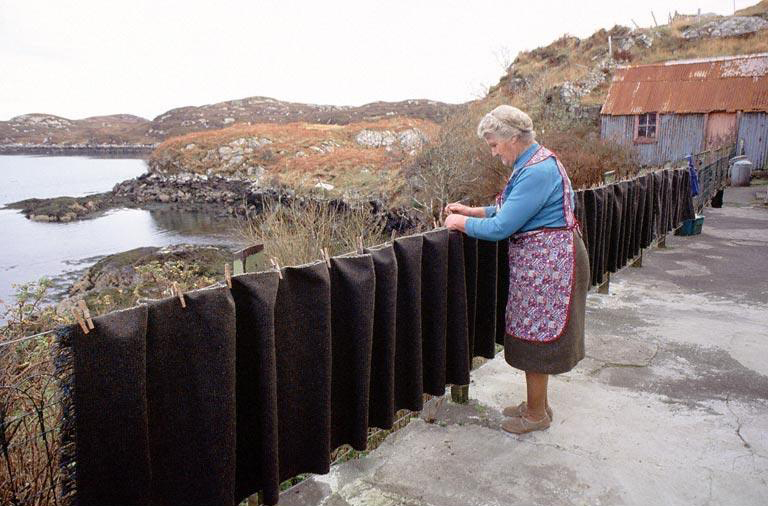 The fabric has been manufactured on the Western Isles in this manner for hundreds of years. 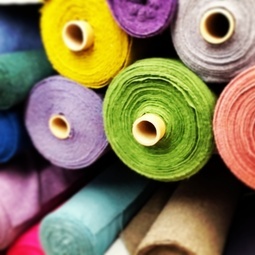 Until the middle of the 19th century the cloth was only produced for the local markets or home use. In 1846 Lady Dunmore, widow of the Earl of Dunn, had the Murray tartan copied by Harris weavers in tweed. She introduced improvements in the production of the cloth. 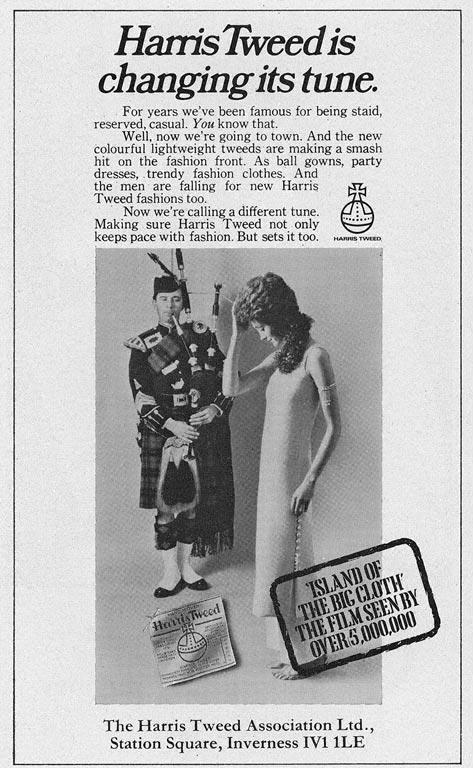 This was so successful that Lady Dunmore began promoting the fabric to her friends and so instigated the beginnings of the Harris Tweed industry. As a result of her marketing efforts, trade was established more widely, particularly with merchants in the larger towns in Britain. 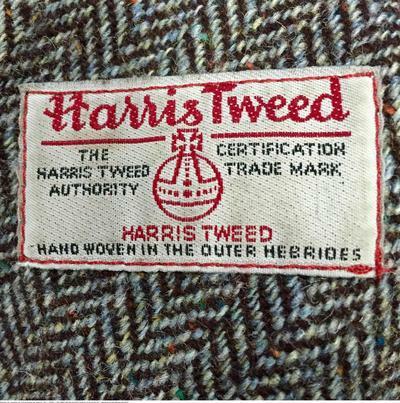 The early years of the 20th Century saw the industry expanding rapidly and the decision was made to register an official trademark to prevent fake cloth being passed off as genuine Harris Tweed. 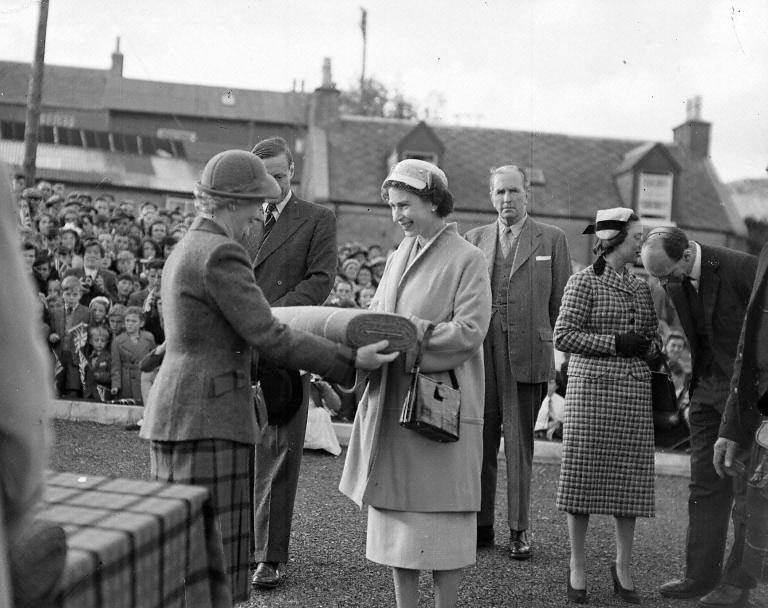 The cloth had to be inspected & certified, and only then was it given the distinctive mark of an orb surmounted with a Maltese cross and the words Harris Tweed underneath. This registered stamping began in 1911 and applied only to hand woven cloth. After 1934, mill spun yarn was also allowed and the yardage produced increased rapidly. 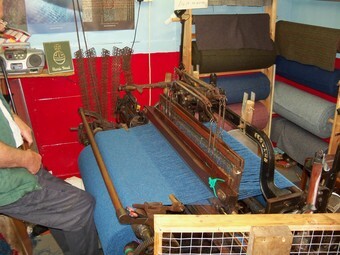 Many of the first weavers used looms which were developed by George Hattersley & Sons, a company from Keighley in Yorkshire. The first thirty Hattersley looms were sent to the Outer Hebrides in 1919. These were 36 inches in the reed space and single shuttle. 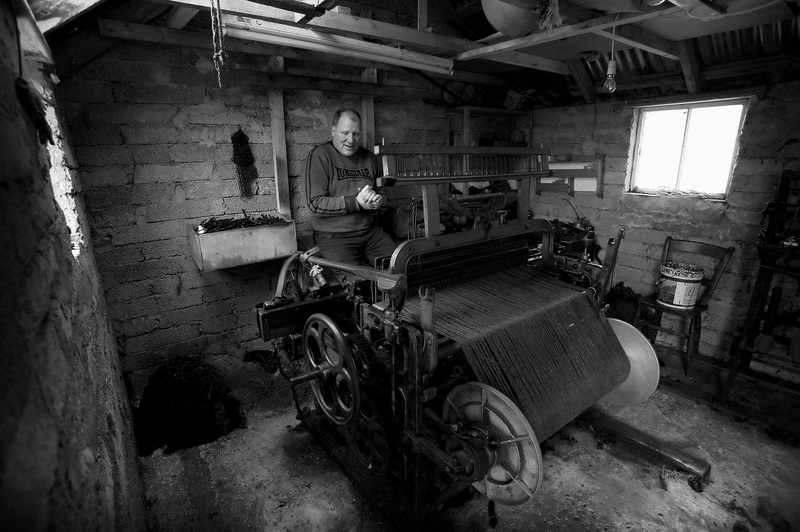 In 1924 the first six shuttle, 40 inch reed space looms arrived in Stornoway and this type of loom was the most commonly used loom in the islands and is still in use today. After an important legal case was completed in 1964 the islanders did not face competition from mainland weavers and the industry flourished. However, by the mid-1980s fashions had changed and the industry contracted. 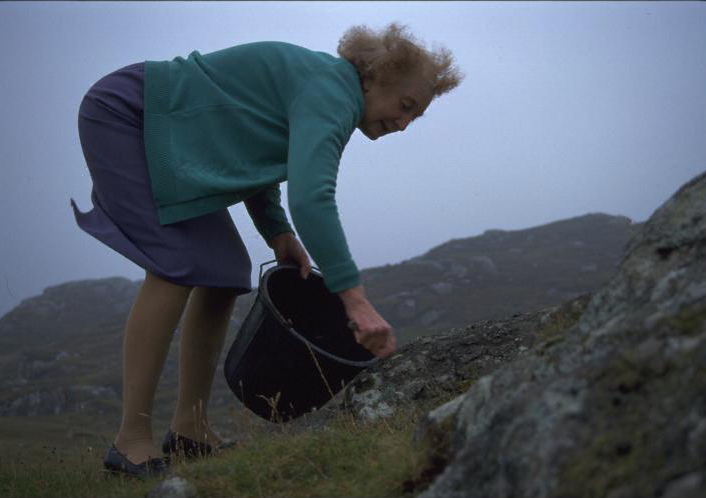 Since the late 1980s the Harris Tweed Authority has sought to protect its markets by evolving the production process into a more efficient and modern activity. Now tweed is produced on new looms, which can produce double width tweed and weavers are retrained to use the latest equipment. In 2007 Harris Tweed Hebrides mill opened in Shawbost on the Isle of Lewis and has been very successful providing cloth for big designer names such as Alexander McQueen, Chanel and Vivienne Westwood. Carloway Mill nearby also provides employment for over thirty people. Weaving once again is on the rise in our islands and providing employment for a new generation. 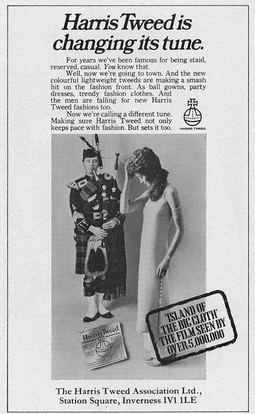 It is hoped that this resurgence will continue and that Harris Tweed will once again become the must have fashion item across the world. 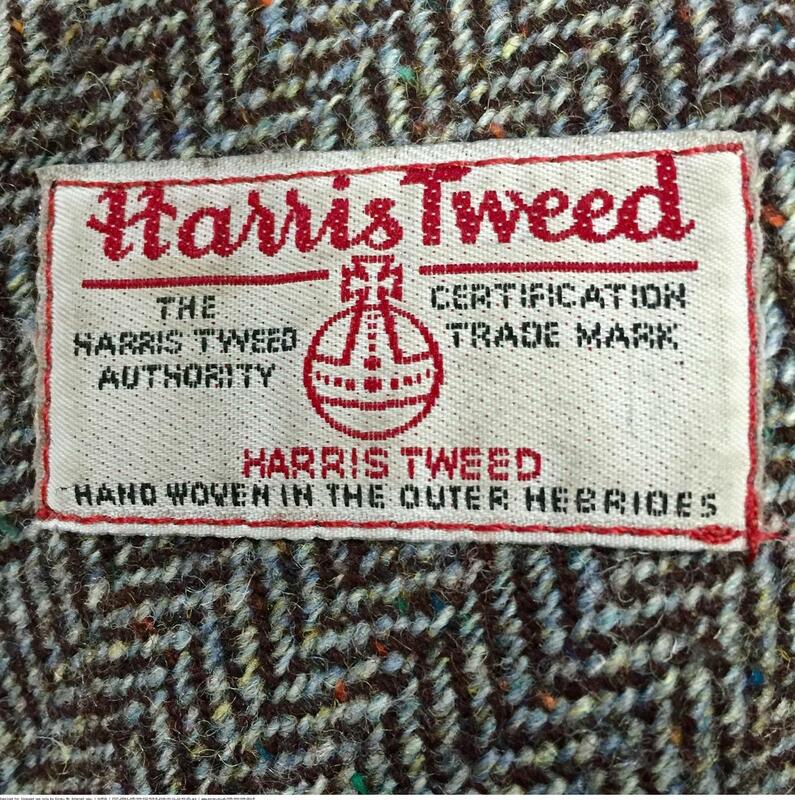 Research the internet to find out all the different ways Harris Tweed is used and all the different products we have on the market made out of tweed. Find out if you have any connections to the weaving industry – perhaps a relative had a loom or worked in a mill or perhaps someone in your village or community has a loom. If you can interview them and write a report on your findings.